Every Business is unique and so are their challenges, business processes and requirements. Every organization thinks to have own customized IT infrastructure. Even though, there are number of, ‘of the shelf-shore’ software’s available in the market, many of them fail to fulfill the needs of specific requirement of organization. Pristinesofts specialists help associations worldwide with arrangements that are conceived according to their separate operational complexities. Each software developer of the organization is equipped with all the important business mastery and can form their creative learning relying on the customer's particular requirements. Offshore development includes sites, e-administration applications and an assortment of hierarchical process control instruments. Our product designers can permit advancement of complex, uniquely crafted programming for small to large-scale organizations. This motivates the customers originating from across the globe to outsource development projects to us. Hence, SMEs, NGO’s, and even people can take advantage by developments that are custom-made to address their issues while implanting the most recent innovations and devices. We cater our custom development services to various industries such as Automobiles, Health & Fitness, Finance, Education, Games, Government, Pharmacy & Medicine, Apparels, Society & Culture, Music, Home Decoration, Travel & Hospitality, and much more. Software we develop are use-friendly and compatible for all devices and browsers. Prior to starting the development process, our project managers will thoroughly discuss your goals & requirements to ensure that you get the precise solution what you paid for. You are bound to get the best value for money with us. Highly innovative and holds degrees from the reputed institute. Developers of India are better in communication and ability to understand the requirements of clients with dedication. 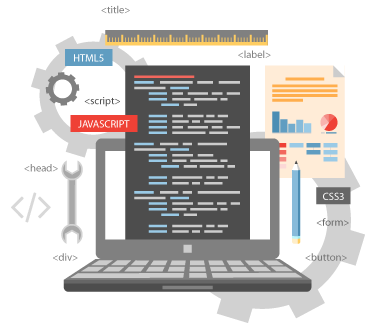 PristineSofts, being a leading outsourcing software development firm in India has delivered excellent web application and software development solutions to its reputed clientele based in the USA, UK, Australia, Singapore, and other countries. We are most affordable with best quality services. Exceptionally creative and holds degrees from the prestigious institutions. Client base in India, USA, UK, Australia, Singapore and Dubai. 100% proven records of offshore software development. Recognized as best company for custom software development by SiliconIndia.